The ladies had a glass blowing event scheduled for noon on the day of the Simple Minds event [covered earlier] and we picked up Echorich and headed to the Ware compound. We set off for a breakfast together this day at a nearby Highland Bakery. After goosing the waitress to get our order in and eat in time to get the ladies to the glass blower in Decatur at noon, we managed to get our food in time. More or less. We found the glass blower and dropped the women off to make our way to Wuxtry in Decatur for the hour or two or leisurely shopping in what was usually a well-stocked store. Prices were good here, as they were everywhere in Atlanta, but of particular interest to me, was the caliber of stock. My last three visits here were filled with want list items and the all important vintage import singles that my world revolves around. After parking the car, Mr. Ware noticed that his wife still had the keys. Oops. It was now cogent to let the ladies know that they had to get a ride to where the car was on their own just so we could all get home. We went to the nearby coffee shop for Mr. Ware to let his wife in on the news. 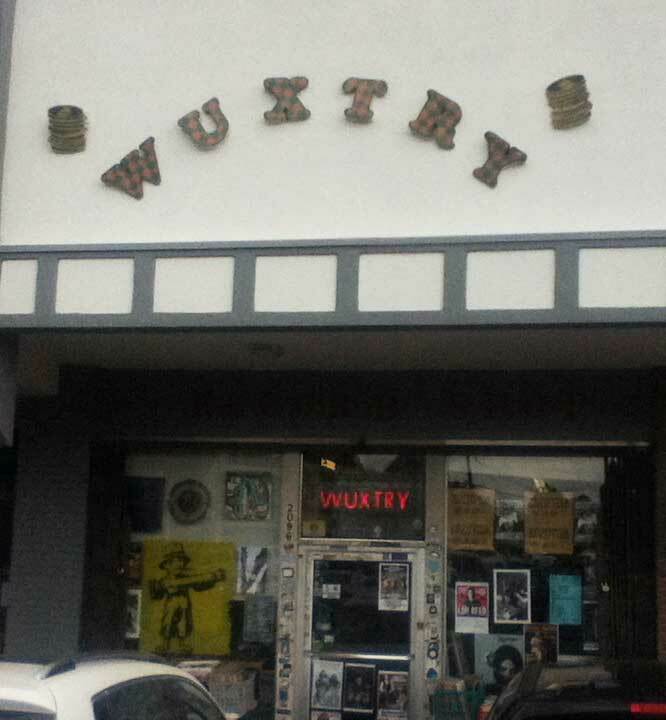 We then went to Wuxtry. As usual, the dollar bins on the outside of the store got a look. I had bought Momus CDs there [among many others] and there was usually some vinyl of delight awaiting me. This time it was a bust on the CD front. For the first time ever, but at least I got a couple of 12” singles and an LP before heading inside. 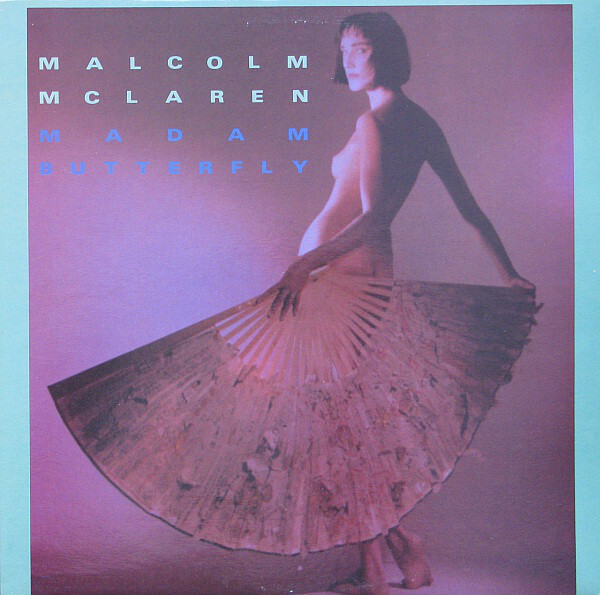 In keeping with the McLaren-centric vibe, I got the US 12″ of “Madama Butterfly” for the remix on the B-side. 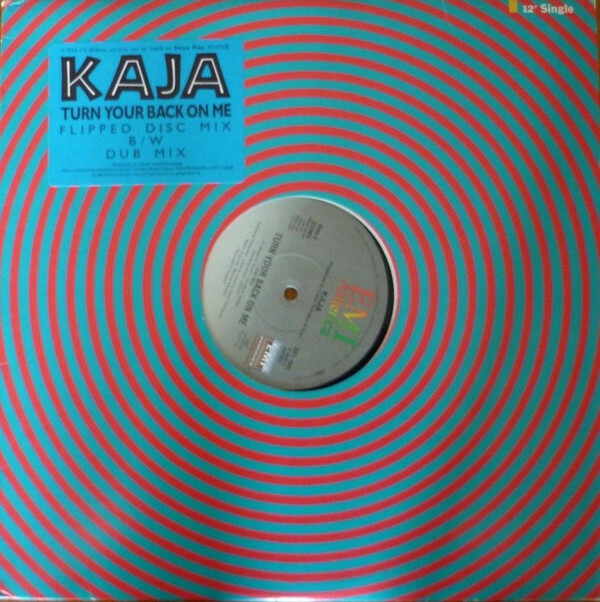 Then the Kaja[googoo] US 12″ remix of the awesome “Turn Your Back On Me” was a must have! Seeing the video for this then-Limahl-free band tearing it up with new singer Nick Beggs going nuts on Chapman Stick won me over in a big way and I’d wanted this 12″ for decades. 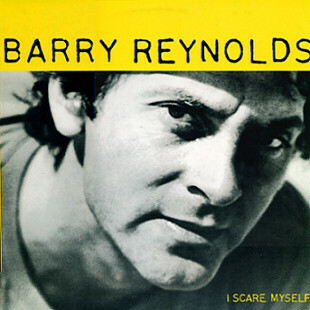 Finally, the Barry Reynolds solo album, “I Scare Myself,” [coincidence?] on US Island needed investigation. Reynolds was one of the Compass Point All-Stars and he co-wrote classic material with Grace Jones and Marianne Faithful; a tune or two from the latter was performed here. The band on the album is the rest of the All-Stars so it will at least be incredibly solid music. The feeling was that pickings were slimmer this time, but I had last shopped there [to the tune of $200] in March during the OMD event, so there was half a year for the coffers to fill with churn. In theory. One of the things that I love so much about this store is that there are bins marked “Rock/Pop 12″ Singles” where one can find exactly the sort of New Wave Dance stuff that I search for. Getting any used 12″ singles in stores these days is a chore. Often it will be 90s techno/hip hop in generic sleeves, if anything. Not here! 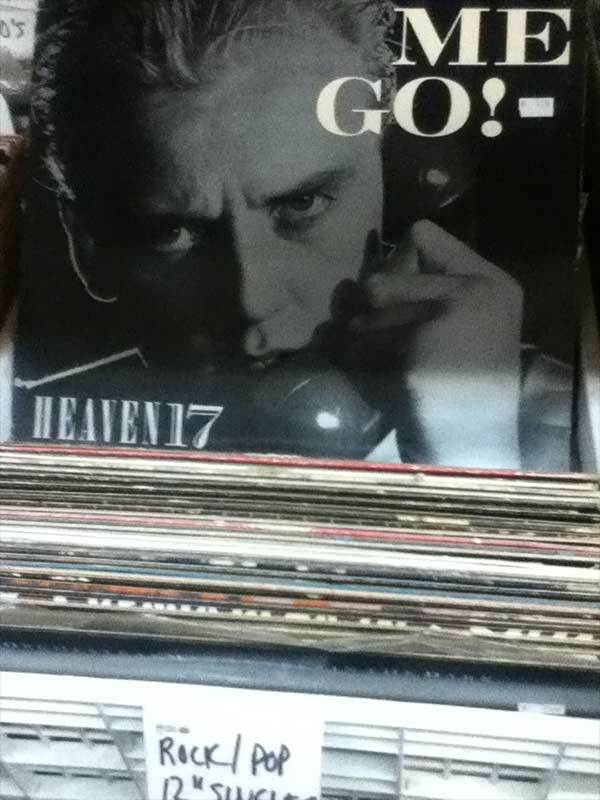 A quick dive in revealed H17’s game-changing “Let Me Go” UK 12″ in its full glory. Of course, I’ve had my copy since its release! I turned my eyes elsewhere and quickly found the sort of want list stuff that makes my day. First of all was one of the remaining Suburbs releases that I needed; the US 12″ of “Music For Boys.” I have the A-side remix on a Richard Blade volume, but the B-side was a remix of “Cigarette In Backwards” and that one eluded me! I simply buy any Sparks mixes I need and the “So Important” had a mix not on the “Interior Design” CD as a bonus track. Rifling through further immediately yielded pay dirt with another Positive Noise 12” single that I needed. The “Charm” 12” a non-LP single to make for bonus tracks on the later two Positive Noise albums, which are currently awaiting REVO remastering [in a dreadfully long queue, shamefully]. 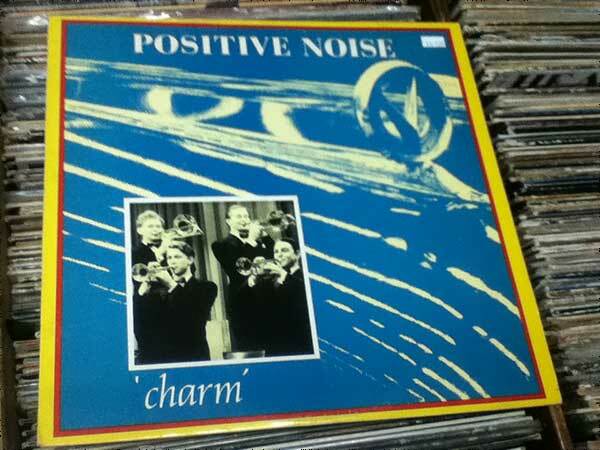 Why did I only ever see Positive Noise 12” singles in this Wuxtry store? “Perhaps they were Michael Stipe’s copies,” Echorich opined. I also managed to find a great 2×7″ from “Yello” of “Lost Again” on UK Stiff. 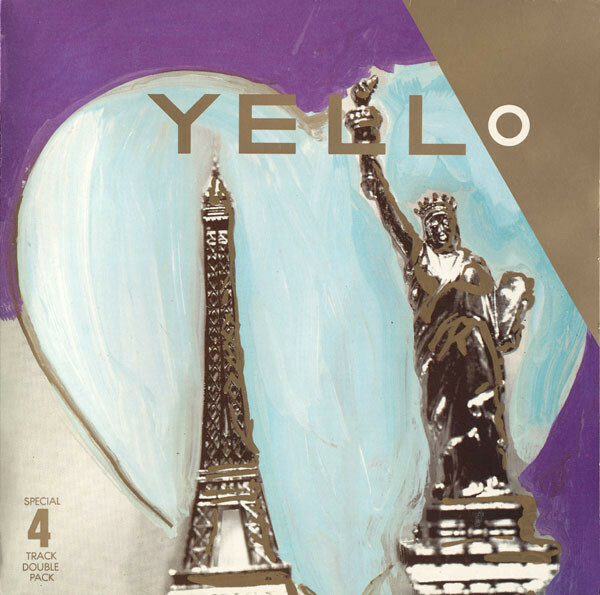 The UK edition of this single had 4 tracks on 7″ or 12″, and the three extended remixes from the 12″ were released in America as the “Yello” EP on Elektra. In America they added the remix of “Bostich” to the EP but the UK single on 7″ and 12″ had the track “Base For Alec.” I have a version of “Base For Alec” on the “New Mix In One Go” CD but I had to find out if the version on vinyl was any different. At the very least, I simply adore the Ernst Gamper sleeves from Yello’s “imperial period” with the 5-color printing with metallic gold ink. My theory is that when Yello stopped having Gamper design their releases, they went downhill. Discussion? Echorich told me that it was designed to specifically look like a bootleg! Almost as an afterthought, I turned my attention to the CD bins. Wuxtry has covers in plastic sleeves so the browsing is a little different. I was looking for the hip hop section and sheepishly asked the manager where it was in the store. Usually, it’s no problem to find in any store. He pointed to about 8″ of discs on the left edge of the R+B bin and I looked for The Coup but came up empty handed, as usual. I barely remember looking at the CDs this time. I guess I wasn’t getting any love back from the bins, but one thing did jump out at me; a WAH! CD that looked for all the world like a bootleg. 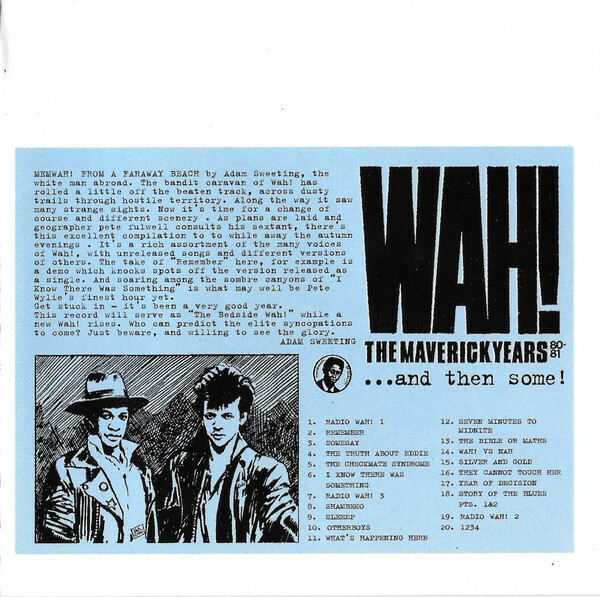 This was only the second Pete Wylie CD I had ever seen, so I asked Echorich his opinion on it, seeing as he’s something of a Pete Wylie expert. He assured me I needed to buy it so there we were. I didn’t want to buy anything that was a rip off bootleg, but he said that it was designed to look like a bootleg since he was signed to another label when he put it out! This looked like his earliest sonic footprint. All I have ever found was the US “Sinful” CD about 30+ years ago so to I had no problems. The $5.00 asking price was a fraction of the $20-40 that Discogs showed this going for. Stretch Your Bucks At Wuxtry! Eventually, the ladies managed to use an app to get a ride over and we headed back to the Ware compound. Did I stick to my budget? I had $18 left to spend. NO! My total spent was $29.00, so I must atone for my budgetary sins! I spent a more symmetrical $75 instead of the $64 I has chosen up front. Call it $82 after tax. 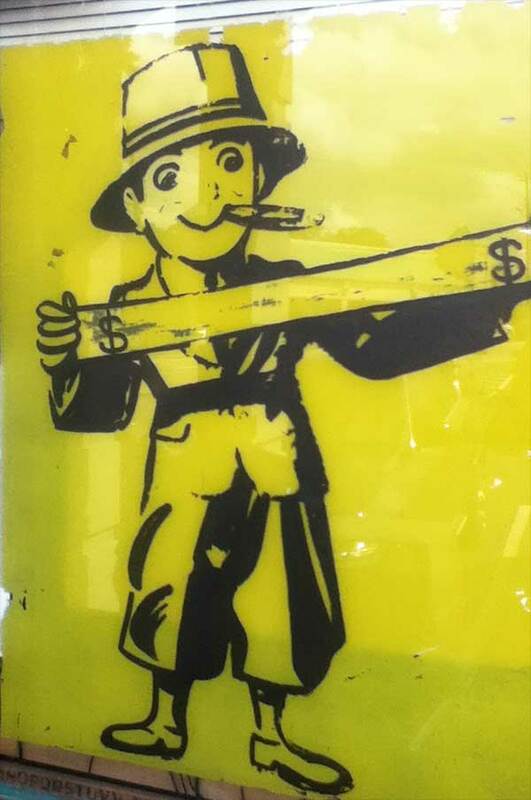 I had been shooting for $20 per store, with tax. But we next had dinner and the Simple Minds event that had brought us here from far and wide. As usual, I enjoyed the pastime of flipping through the bins with Mr. Ware and Echorich. It’s a gift to me since I rarely enjoy their company; especially in this most delightful activity. As this was the second troll through Atlanta’s bins in a single year, I will be holding off for the forseable future. I need to reign it in severely, and I’m fine with that! I have plenty to listen to. The trouble is that a lot of it is pesky vinyl and the time necessary to do that is thin on the ground. Since I don’t have much money, it would be good if I had a compensatory chunk of time but I guess that time really is money, since I have neither in surplus! Join us in another [guesses] four years when we once again venture back to the bins in Atlanta. Hopefully with good friends in tow once more! This entry was posted in Record Shopping Road Trip, The Great Record Stores and tagged 2018, Atlanta, Echorich, Mr. Ware, Wuxtry. Bookmark the permalink. I certainly hope that nearly a half-decade won’t pass before you find yourself looking through the marvelous bins of these truly great Atlanta-area record stores. You are SO lucky to get that Wah! cd for $5!! Its a classic.All those early songs are so full of passion and intensity.My fave Wah! song,”Silver and Gold” is on there-I also have a Peel Session of this.The first LP “Nah=Poo-The Art of Bluff” is absolutely essential for anyone with a passing interest in the Liverpool post-punk scene. Mighty (get it?) jealous about that Wah! find. Have had that one on my list forever. Brian – Don’t feel too jealous! This was only the second Pete Wylie CD I’ve ever seen in the southeast all my life!